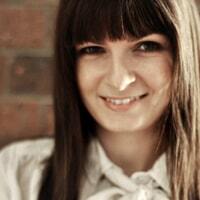 Meet Chantelle Grady, a designer and blogger originally from Brisbane, Australia, currently living in Montreal. One look at any of Chantelle’s online projects tells you that she’s a talented photographer with a unique point of view. A minute browsing through her site allows you to discover that she’s also gifted at stylism, writing and graphic design. Yep, she’s one of those versatile creative types tailor-made for the new media world. In addition to collaborating with different magazines and clients, Chantelle has also created Sourced Cities, a site where she shares tips, discoveries and city guides inspired by her travels around the world. Her first collaborative book project will be published in the spring of 2013. Here’s Montreal, in her own words. Montreal. I visited over a year ago and instantly fell in love. It’s a beautiful city filled with so much culture and character with neighbourhoods that each have their own unique charm. And if you love to eat (like me) it’s the perfect city to visit to sample some incredible food. I ended up moving to Montréal soon after my visit and have spent a lot of my spare time eating my way through the city. It’s filled with so many amazing restaurants with foods from all over the world. Meals like grilled chicken from Portugal, a creamy feta omelette from Persia, artisan pastries and breads from France, crispy perfect base pizzas from Italy and delicate gravlax from Sweden are but a few that left my stomach very happy and craving for more. I’ll be leaving Montréal shortly to head back to my hometown of Brisbane, Australia and it will be the unique houses and food that I’ll miss most. But the charm of this city is too strong and I know I will visit again. Olive + Gourmando. It’s difficult to answer because I’ve enjoyed so many meals here. But a place that I always return to and frequented many times when I lived in Old Montréal is Olive + Gourmando. It’s hard not to love this place. They are spoken of in just about every travel book out there and with good reason. Everything is fresh, creative and full of flavour. Come here on a lunchtime and the place is packed. You will have to leave your name on a list and patiently wait for them to call you when your table is ready. But once seated, the lively atmosphere and array of delicious food to choose from leave you happy and longing for a return visit. 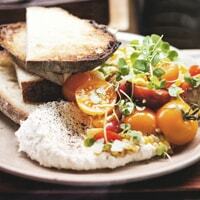 My absolute favourite dish here is their housemade ricotta. 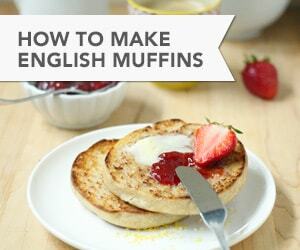 It changes with the seasons and they offer a savoury or sweet version. The sweet might consist of honey and orange zest and the savoury of fresh juicy tomatoes, pine nuts, grilled corn and garlic oil. Both are served with grilled toast. The ricotta is the creamiest and best I’ve ever tasted. Another favourite is their grain-fed chicken sandwich with guacamole, cajun spices, tomatoes and fresh mangoes. It’s served on their housemade grilled white bread and so so good. And you can’t pass up a housemade pastry to finish your meal. The counter where you pay is stacked high with pastries of all kinds. Almond croissants, chocolatines, Valhrona chocolate and banana brioche, butterscotch pecan squares, the turtle bar… I’m salivating just thinking about them! With food this good it’s hard not to consider this very popular place as my Montréal favourite. 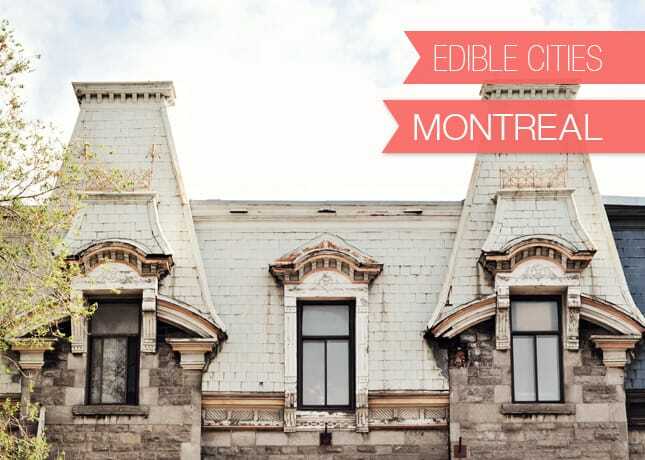 Don’t miss Chantelle’s free online magazine about Montreal: A Little Relish Vol. 2. It’s filled with restaurant and shopping recommendations, recipes and, of course, Chantelle’s inspiring photos. National Geographic has a great “Ultimate City Guide” to Montreal, and a gorgeous (and free!) iPad app too. The best way to experience Montreal’s booming food scene is to book a food tour! From the most beautiful markets to the best microbreweries, the guys at VDM Global will help you taste your way through the city. Also: Follow Chantelle on Twitter, Facebook, and Pinterest. Next week, Melanie Biehle, lifestyle blogger on Inward Facing Girl, is taking us to Siena, Italy. Don’t miss it! Photo Credits: All pictures by Chantelle Grady. I really need to go back to Montreal as an “adult” and explore the city! While I was growing up, our family used to visit Montreal almost every week. This may sound glamorous to some, but Place Desjardins on a Sunday afternoon was not so happening. I’m sure the city’s changed a lot since you visited as a kid! The food scene is especially great and growing all the time, I’m sure you’d love it! If you ever come, please tell me, we could meet up, or at least I could send you my recommendations if you need some!